Spread dip evenly over pizza crust. Sprinkle with chicken and tomatoes. 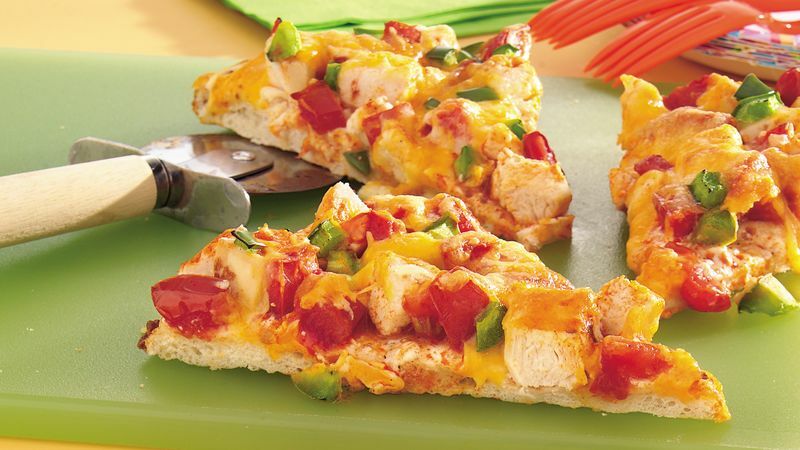 Drizzle with buffalo wing sauce; sprinkle with cheese and bell pepper. Bake an additional 10 to 12 minutes or until cheese is melted and crust is golden brown. Look for packages of diced cooked chicken in the fresh meat area of the grocery store or in the frozen section. You can also purchase cooked chicken in the deli.